Pat has been approved in ProFinder for these skills – career coaching, life coaching, executive coaching, leadership coaching and public speaking. For each skill, she’s created a reply template, which she then customizes to address the needs of the particular client. 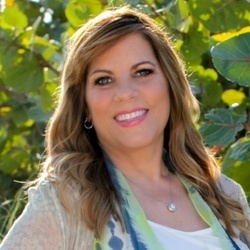 While based in New Jersey and Myrtle Beach, she offers most of her services online. ProFinder helps clients meet their needs and budgets, from smaller packages to high-end VIP programs. Pat offers mini-courses and, usually, free trials to the advanced course from her RockOnSuccess Academy. Everyone from students to the vice president of a Fortune 100 company request her courses and trials. While ProFinder usually works well in the career and coaching niches, Pat’s volume of requests is amazing. She sometimes receives 22-24 leads per day, often flooding in five to ten at a time. Pat attributes this to her very strong LinkedIn Headline and Summary copy, which is something she teaches others how to optimize. Her 60+ recommendations, compared to her competitors’ three to eight recommendations, also make her stand out. It’s also important to understand how people search for your services and to use their words in your Headline and Summary, she advises. 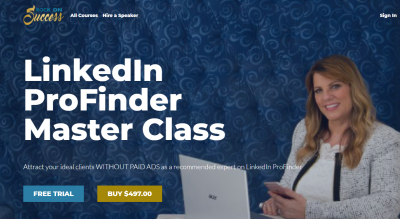 She has created a sales funnel to upsell those who download it, offering a 10-part LinkedIn Course and her premium services. Thus she makes the most of all the leads ProFinder provides her. Because of her own success with the platform, Pat has created a special Profinder Master Class which helps other people use it effectively. More reviews by clients in other niches are coming soon. Come back to learn about what those in different industries think about ProFinder.